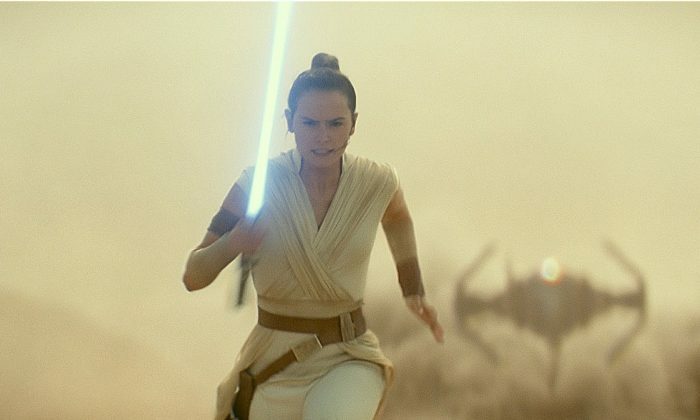 “No one is ever really gone,” says the voice of Luke Skywalker in the first teaser trailer for “Star Wars: Episode IX,” which audiences finally learned will be called “Star Wars: The Rise of Skywalker” on April 12 at a fan event in Chicago. “Princess Leia lives in this film in [a] way that is mind-blowing to me,” Abrams said. Although fans are salivating for any morsel of information, the panelists stayed as vague as possible and kept things light-hearted debating questions like “who’s a better pilot: Poe or Han” and even taking a break so that the audience could sing an unprompted Happy Birthday to Ridley, who turned 27 on Wednesday. Smartphone app-controlled BB-8 toy by Sphero not only reacts to its surroundings but now it can "watch" the new Star Wars movie with you. Slated for December, Rogue One takes place in between Episode III: Revenge of the Sith and Episode IV: A New Hope. To celebrate Star Wars Day, a video retelling "Episode VII-The Force Awakens" using only emojis was released by Disney on May 2.